We make every wedding truly about our couples. I know, I know, you hear all the time from almost every wedding professional you to talk to and read in their advertising that it’s about you. Well, we truly DO make it all about our couples – for real! From sound, lighting and so much more to create a “uniquely you” wedding experience for your guests. How do we do genuinely make it about our couples? Easy. It’s our wedding celebration philosophy and how we approach each and every wedding. First and foremost, I want to personally hear from the two of you. I welcome that. I am happy to meet with you at your home, or at any location and at a time convenient to you. If you live out of State, that’s not a problem at all. 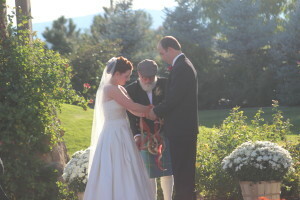 In fact, about 40 percent of our couples live out of State (or even out of the country) looking have a Colorado destination wedding in areas like Estes Park and Vail; in which case, rest assured, that we have already streamlined our entire process to easily be able to do everything via phone, email and skype. Secondly, you have my commitment that I will always, always, tell you the truth about everything. 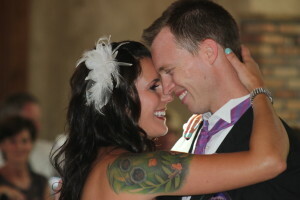 That being said, the first real truth, is that your wedding is not only about you. Yes, you are both super important to the day. In fact, the real “guests of honor,” but the day is really about the way you express your love and celebrate with the family and friends who mean the most to you in that special way that represents you. 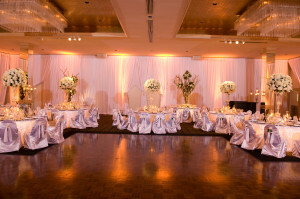 Certainly the most significant part of our service is the extensive and comprehensive assistance we provide for the planning and coordination of all the key events (from a wedding flow / entertainment perspective), carefully crafting each key event for your guests to enjoy in a fun, smooth, tasteful manner. Lastly, we will make sure your wedding day is fun, smooth flowing, and full of special memories designed to keep your guests smiling, laughing and having the time of their life in special ways that tastefully represent you. I can’t speak for any other company, what they say or claim to do. Nor would I ever. I just know what we do, our process and the consistently awesome weddings we create for all of our couples. You’ll find that I have an authentic passion far beyond just playing music, or trying to “Tech Geek” wow you with technical specs on equipment. I love what I do! I believe I have the best profession on the planet with an opportunity to celebrate with our couples on the happiest day of their life! 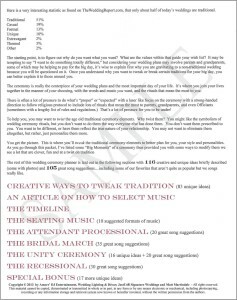 Amore’ DJ Entertainment has developed an extensive wedding planner “kit” full of awesome ideas to help you personalize your wedding (there are 109 original ideas in the current reception kit and 116 in the ceremony kit). The Amore’ DJ Entertainment Wedding Entertainment Design™ process is very comprehensive and sure to make you say “WOW” when you see it. 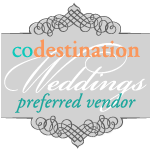 Even Colorado Wedding Planners and Colorado Wedding Coordinators love it because we help make their jobs so easy! It’s truly awesome! 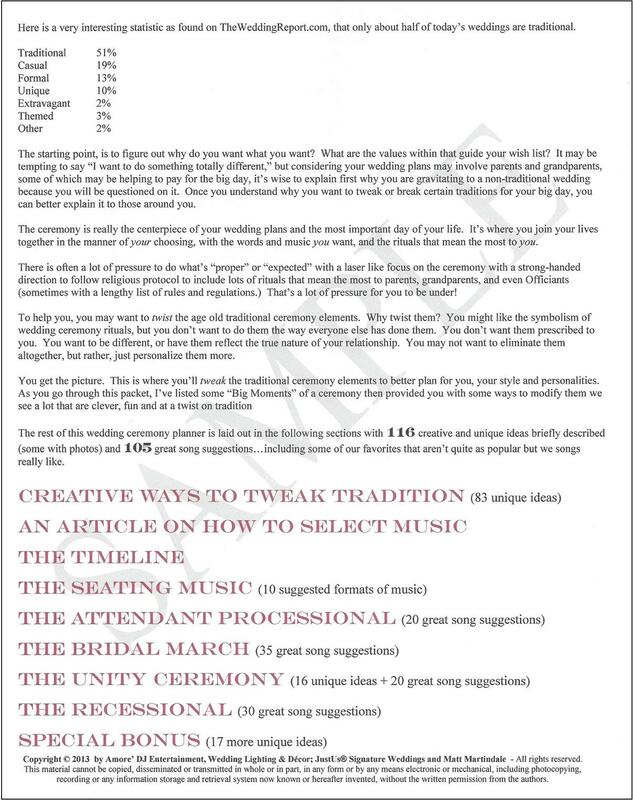 Here’s just a one page excerpt (essentially the table of contents) from the current Amore’ Wedding Reception Confirmation kit showing our thoroughness and creativity for every facet in helping you plan your wedding reception. 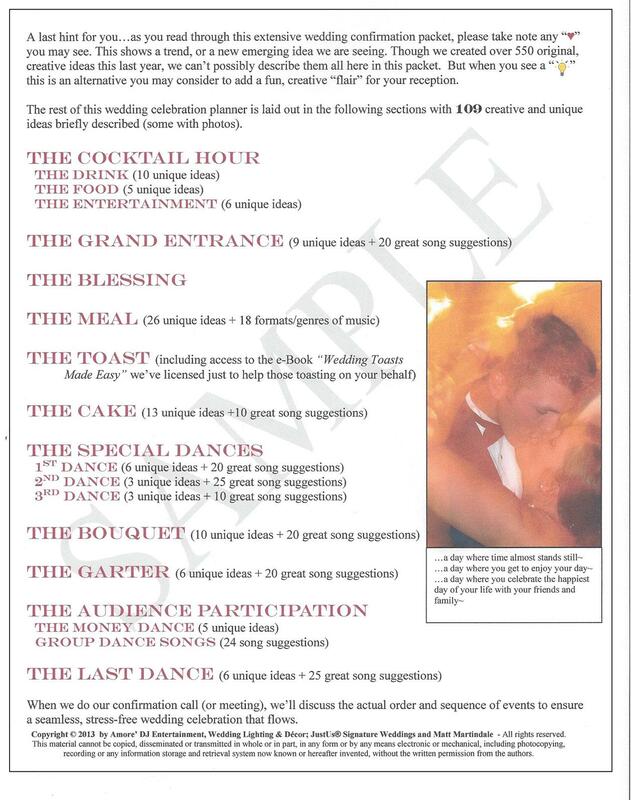 When booked to provide the sound for the wedding ceremony, here’s just a one page excerpt (essentially the table of contents) from the current 17 page Amore’ Wedding Ceremony Confirmation kit brides receive as well. 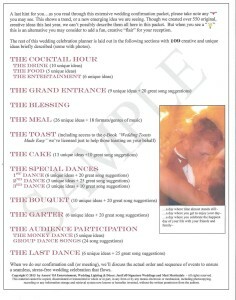 So, you’ may be asking then, are we actually a “wedding planner” or “wedding coordinator?” Well, sort of, but not really. (although we are currently registered for the education to become fully “certified” just so we have that piece of knowledge and understanding to make our services even more comprehensive than they already are). You’ll notice the significant and distinct difference between having individual wedding professionals such as a wedding planner, coordinator, caterer, venue, DJ or MC, or anyone else for that matter, that is as involved or concerned with any of the entertainment aspects for your wedding. This isn’t to say that each wedding professional you hire isn’t important, because they are. Instead, the real question is how will they comprehensively put it all together in a cohesive manner to create, then organize your very own classy, customized, wedding entertainment experience personalized to you? Only we do that. Each and every wedding will bring your guests on an emotional journey, from joy, surprise, friendship, laughter, love and hope. We understand that your wedding day is THE representation of who you are as a couple to your friends and family – so, the real question is HOW do we do that? Easy. We know how to do that using all five senses, in a creative, fun and tasteful way to accent special moments and create one-of-a-kind memories. A Colorado Bride raves about Amore DJ Entertainment at her Brookside Gardens wedding performed by Brookside Gardens preferred DJ Matt Martindale. Here’s what our “Signature Audio Tribute™” sounds like, just remember, it’s just audio only and there are NO audio markers in actual ones produced for weddings. It is audio only, and can be done with things like: love letters you write to each other, actual vows, toasts by special guests who are unable to attend, maybe a special thought when Dad walks you down the aisle, etc. It’s something that always leaves guests saying “WOW! That was really cool! 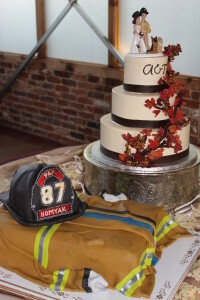 This is just one of countless examples of how we can personalize your wedding. This is just the father / daughter dance. Now imagine what we can do with the first dance, cake, bouquet, ceremony, lighting & décor and the Amore’ Interactive Photo Booth too to make every major wedding highlight truly unforgettable!